Online poker has grown massively in popularity in recent years, and through the growth of online poker the game itself has enjoyed something of a renaissance. If you enjoy playing a few hands of poker every now and then with your friends and fancy playing a few games online, here’s a quick guide to finding the right website for you. The first thing to bear in mind is that there are new companies popping up every day, the vast majority are legitimate, but there are always a few who will be looking to make a quick bit of money and won’t necessarily be playing by the rules. Look for the eCOGRA sign on any website that you look at, eCOGRA stands for eCommerce and Online Gaming Regulation and Assurance and they regulate the online gaming industry, any respectable online casino will have the eCOGRA sign front and centre. The next thing to think about is that before you hand over money you’ve got to make sure you enjoy it. Most good websites will offer people the opportunity to try their tables or to try their games for free or for very little money, or even provide a certain amount of cash up front to new members to experiment with the games. Don’t just open an account and deposit money without trying out the games first. Connected to this, you have to be sure that the tables you are playing are legitimate and safe. 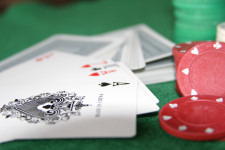 There has been a lot in the media in recent months and years about online casinos not offering fair odds. Any company that has been accused at any point of cheating its customers is probably one to steer clear of, a quick internet search of the name of the company should bring up any complaints, so make sure you steer clear of them. The next thing is that you want to be sure that your money and your bank details are safe, so look for accreditation regarding money transfer systems, again, most responsible companies will be keen to assure you that your money is safe with them. Finally, and this is by no means a necessity but it is a good idea, a good online casino like 32 Red have their commitment to responsible gaming demonstrated loud and proud on the front of their website. Gambling is addictive and you can lose large sums of money so look for a website that has a commitment to keep its customers safe, rather than solely looking to take their money.